﻿ Anti-Aging & Longevity Institute - Nadu Tuakli, M.D. M.P.H. Start looking and feeling more youthful and improve the quality of your life. Aging is a natural process and a fact of life. Our goal is to empower you to take charge of your aging process and overall health. It is possible to decelerate the aging process and with the right program you can slow down and reverse many of the effects of aging! In women, hormones can become imbalanced as early as age 35, even if they are still having normal menstrual cycles. Hormone imbalance can lead to fatigue, memory loss, dizziness, and irritability. This is in addition to symptoms commonly associated with menopause such as night sweats, hot flashes, insomnia, depression, skin dryness, and headaches. Weight loss benefits include prevention of Diabetes and Hypertension, lower cholesterol, and decreased risk of heart disease. "I started my first round at the end of July and lost over 30 pounds. I finished my 2nd round on 28 Feb with a total weight loss of almost 60 pounds. I'm off my diabetes medication, my thyroid medication, and don't need my blood pressure medication any more." Promoting a natural, preventive, and regenerative approach to anti-aging. Your individualized Anti-Aging treatment may include one or more of our other health & wellness programs like weight loss, hormone therapy, skin care, etc. 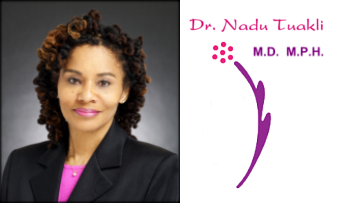 Dr. Nadu Tuakli, Director of the AALI, is a board certified specialist who practices Anti-Aging and Preventive Medicine. She designs an individual program based on a nutrition assessment, laboratory tests, and examination. AALI will help you navigate the most effective nutritional and vitamin therapies, and the latest advances in bio-identical hormone treatments. The Anti-Aging & Longevity Institute has two convenient locations including one next to Howard County General Hospital. To expedite your first visit to our office, we have made our registration forms available here. Please print these documents, fill them out completely, and bring them to your appointment.